and the true measure of legacy is working for a world bigger than ourselves. 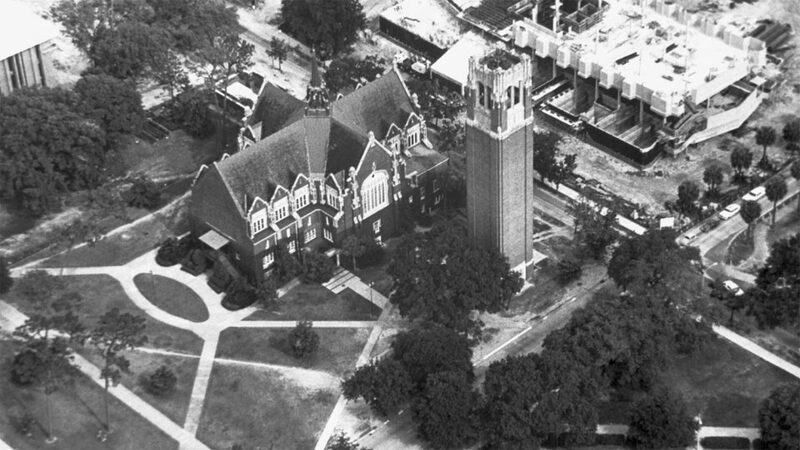 1926: UF College of Business was established and Walter Matherly appointed as dean. 1929: The College was accredited by AACSB International. 1933: The College is renamed to College of Business Administration, separating from its previous affiliation with Journalism. 1935: Walter Matherly elected president of AACSB. 1938: The College celebrated 100 students graduating with business degrees. 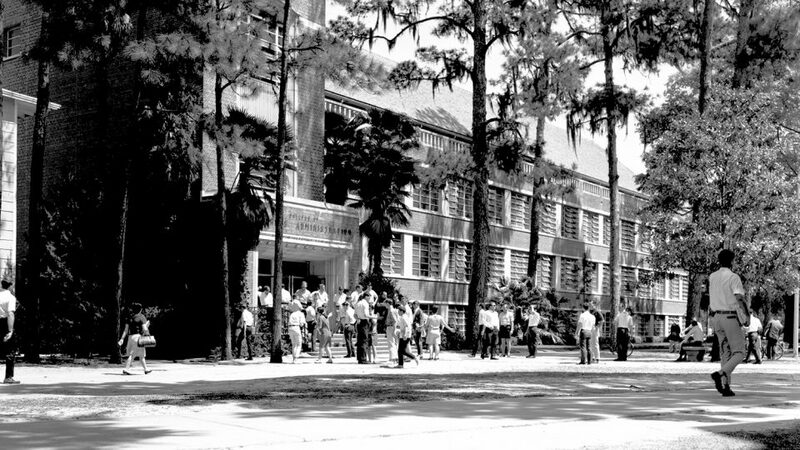 1946: First MBA degrees awarded by UF. 1954: Donald Hart assumes deanship. 1969: Robert Lanzillotti named dean, serves until 1987. 1974: First TV Replay classes offered. 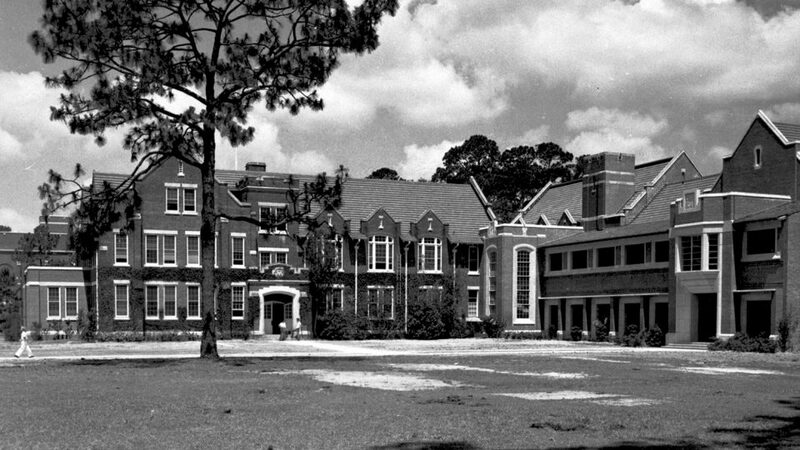 1977: UF’s School of Accountancy approved by state legislature and MACC degree instituted. John Simmons is named first director. 1979: First Eminent Scholar Chair in the State University System (SUS) is established, the Matherly-McKethan Chair in business. Econometrics scholar Hans Theil named as chair. 1981: New Business Building opens. 1985: Alumnus Fred Fisher (BSBA 1959) establishes major endowment to support the accounting program; Fisher School of Accounting was named in his honor. 1987: William Emerson (BSBA 1946) makes donation to renovate “Business Triangle” and Emerson Courtyard is named in his honor. 1987: Alan Merten assumes deanship. 1990: John Kraft became the fifth dean in Warrington history. He arrived from Arizona State University’s College of Business where he served in the same role. 1990: UF MBA appears on BusinessWeek’s list of the nation’s top 40 programs for the first time. 1993: UF MBA offers its first program for working professionals. 1996: Public Utility Research Center joins with The World Bank to present first International Training Session. 1996: Al Warrington’s (BSBA 1958) major gift established an endowment for business faculty support. The College was named in his honor. 1998: New Business Building rededicated as Stuzin Hall. 1999: The College launches its Online MBA program, then known as FlexMBA. 2000: College institutes three specialized master’s programs, leading to revitalization of graduate offerings. 2003: Gerson Hall completed, at the time, the nation’s only stand-alone accounting building. 2005: Addition of Master of Science in Real Estate (The Nathan S. Collier Program) becomes College’s sixth specialized master’s program. 2007: William R. “Bill” Hough (MBA ’48) gives $30 million to the College, the largest private gift ever received by UF at that time. The College’s graduate school is named in his honor. 2008: College establishes the Post-Doc Bridge Program. 2010: Hough Hall, the College’s graduate school building, is officially dedicated. 2010: UF MBA’s Online program named one of the two best in the world by The Economist. 2012: Alumnus Bill Heavener pledges lead gift for investment in undergraduate business education. The undergraduate School of Business was named in his honor. 2014: Al and Judy Warrington give $75 million –the largest gift in UF history – to the College. Warrington’s combined gifts to UF reach $100 million. 2014: College of business matriculates first Doctor of Business Administration class. 2014: Completion of Heavener Hall brings the College’s vision to fruition with each of its schools supported with major program endowments and state-of-the-art facilities. 2015: John Kraft celebrates 25th year as Warrington’s dean.